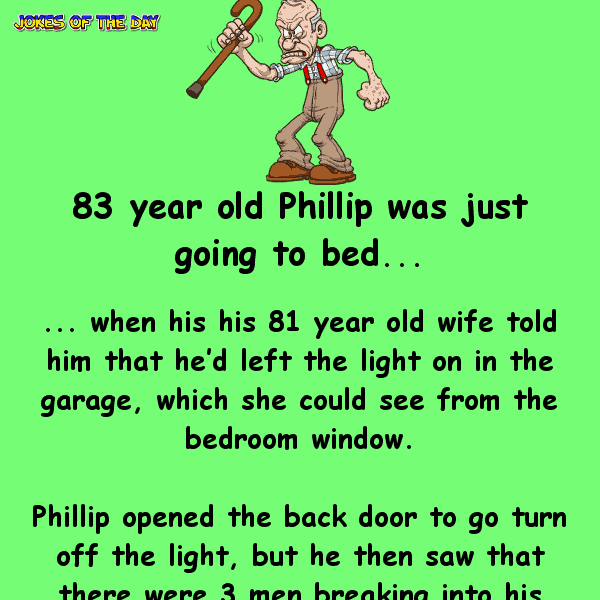 83 year old Phillip was just going to bed, when his his 81 year old wife told him that he’d left the light on in the garage, which she could see from the bedroom window. Phillip opened the back door to go turn off the light, but he then saw that there were 3 men breaking into his garage. Then he called the police again. “Hello, I just called you a few seconds ago because there were people stealing things from my garage. Well, you don’t have to worry about them anymore, because I just shot them,” and he hung up. 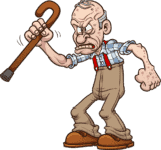 Within five minutes, six police cars, a SWAT team, a helicopter, a paramedic, and an ambulance showed up at the old man’s residence and caught the burglars red-handed.